Color(s): Blue, Black, Red, Yellow, Brindle. There may or may not be white. The coat can be any pattern or color and is often brindled, leopard, or patchy. The Catahoula Leopard is also referred to as Louisiana Catahoula leopard dog because of the two reasons. 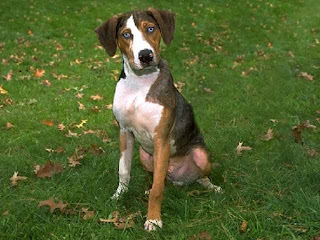 First that it was named the State dog of Louisiana in 1979 and second that it is named after Catahoula Parish in the state of Louisiana. They are believed to be descendants of “war dogs” like Mastiff and Grey hound. This breed of dogs is thought to be very hardworking and most universal. These dogs are excellent at herding cattles and hunting wild animals like squirrel, deer, bear, raccoon, and wild boar. This breed of dogs is prone to deafness and hip dysplasia, among some other normal dog diseases. It is known to live for a period of 10 to 12 years.